Will Ferrell's alter-ego Ron Burgundy is to bring out his autobiography. The famous newsreader, who starred in comedy Anchorman, has inked a book deal with Random House's Crown Archetype, for his "tell-all" book, Let Me Off At The Top! : My Classy Life And Other Musings. "I don't know if it's the greatest autobiography ever written. I'm too close to the work," the character said. He added: "I will tell you this much: the first time I sat down and read this thing... I cried like a goddamn baby, and you can take that to the bank!" 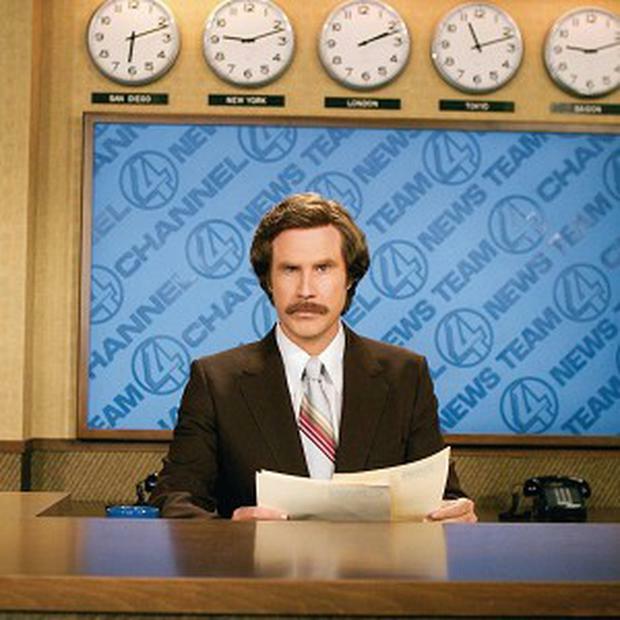 Ron, who will return for the sequel Anchorman 2: The Legend Continues, will share never-before-told stories of his childhood and the events that led him to choose a career in the news business. He will also offer a rare glimpse behind the camera into his off-screen life, and share anecdotes about the women in his life, his dog Baxter and his news colleagues, as well as offering advice of various subjects. Mauro DiPreta from Crown Archetype said: "The printed page will allow Ron to tell his story in a much more intimate way. Let Me Off At The Top! will be a classic for years to come." Ron's autobiography will be simultaneously published in the US, UK, Canada, and Australia in print and digital formats on November 19, 2013.